Syndicated film critic Roger Ebert is not always an easy man to please. 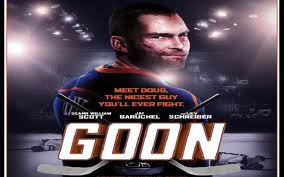 But he gave a real thumbs up to the motion picture Goon, which was written by Montrealer Jay Baruchel. Here is his take on the movie, which as of this writing has recorded $4 million in gate receipts in Canada and just started on US screens.